Mother’s Day Gift Guide: Wrap It Up. To put the finishing touches on your Mother’s Day gift, we present the very last of our gift guides in this series. 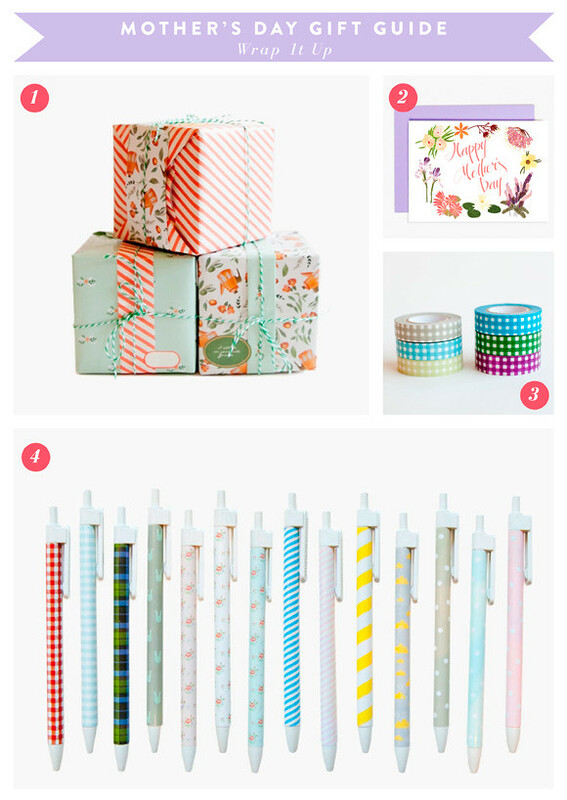 Wrap up your thoughtfully picked gift with these packaging ideas, designed to delight mom even before she unwraps her present. We hope that you’ve been inspired by the Mother’s Day gift guides we’ve put together for you. And to all moms out there, Happy Mother’s Day…you thoroughly deserve to be pampered! See the rest of our Mother’s Day gift guides here.